Dr. Yan Li received her Ph.D in epigenetics and diabetes research from Beckman Research Institute, City of Hope. In graduate school, Dr. Li was trained as a molecular biologist studying the epigenetic regulation of inflammatory response in atherosclerosis, a common complication in diabetes. After graduation, Dr. Li joined Dr. Bing Ren's lab in Ludwig Institute for Cancer Research, UCSD for postdoc training. During her postdoc, she continued her research interests in the transcription regulation of inflammation and diabetes genes, but mainly using genomic and epigenomic approaches. 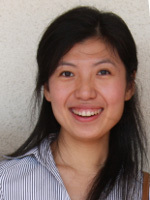 Dr. Li's previously works characterized the dynamics of transcription enhancers using several model systems including inflammation and embryonic stem cell (ESC) differentiation. Dr. Li joined the Department of Genetics and Genomics Sciences as an assistant professor in 2015. One major focus of our lab is to study the functions of non-coding cis-regulatory elements (such as enhancers) in development and complex diseases, especially related to diabetic conditions. For example, amount thousands of disease associated SNPs identified from genome-wide association studies (GWAS), ~20% are related to complex diabetic conditions including high BMI, hypertension, hyperglycemia, high LDL, atherosclerosis etc. Several difficulties are preventing us from understanding these genetic variants. First, over 90% of those SNPs do not change protein sequences. One prevalent theory is that some of these common variants are affecting enhancers, leading to misregulation of important target genes, but this theory remains to be tested in detail. The other difficulty is that many different tissues or organs may contribute to complex metabolic traits, we need to test the function of a SNP in the right tissue or cell types. We will tackle these important questions using several cutting edge genetic and genomic technologies, such as CRISPR, ChIP-seq, RNA-seq and Hi-C. My lab is also interested in studying the 3D genome architecture. We are trying to use 3D genome data to explain the functions of non-coding genetic variants relevant to disease states. Epigenetic Priming of Enhancers Predicts Developmental Competence of hESC-Derived Endodermal Lineage Intermediates. Epigenomic analysis of multilineage differentiation of human embryonic stem cells. RFECS: a random-forest based algorithm for enhancer identification from chromatin state. Proinflammatory effects of advanced lipoxidation end products in monocytes.